Who doesn’t love playing guitar? Surveys reveal that men who play guitar seem instantly attractive and handsome. However, if you don’t know how to play one, don’t worry. 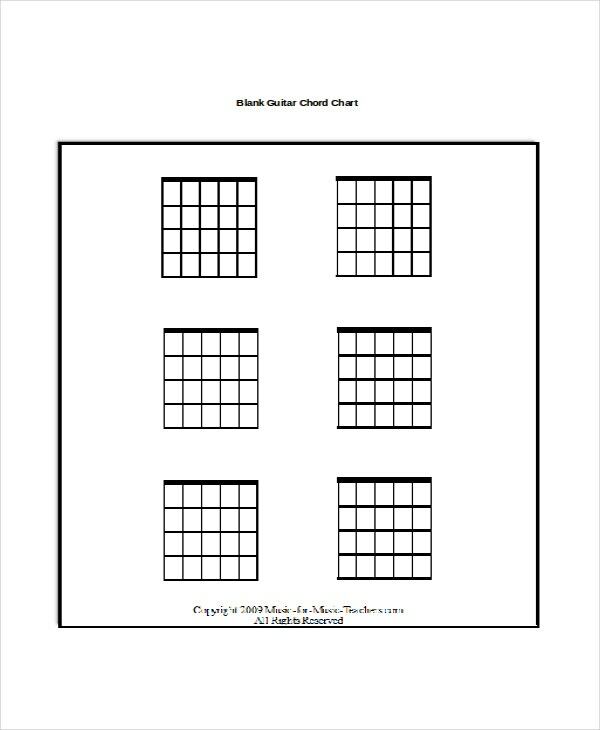 Our Guitar Chord Chart Templates are very helpful in teaching you how to play the right chords. 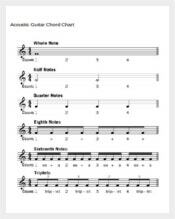 There are many guitar chord chart templates available online. 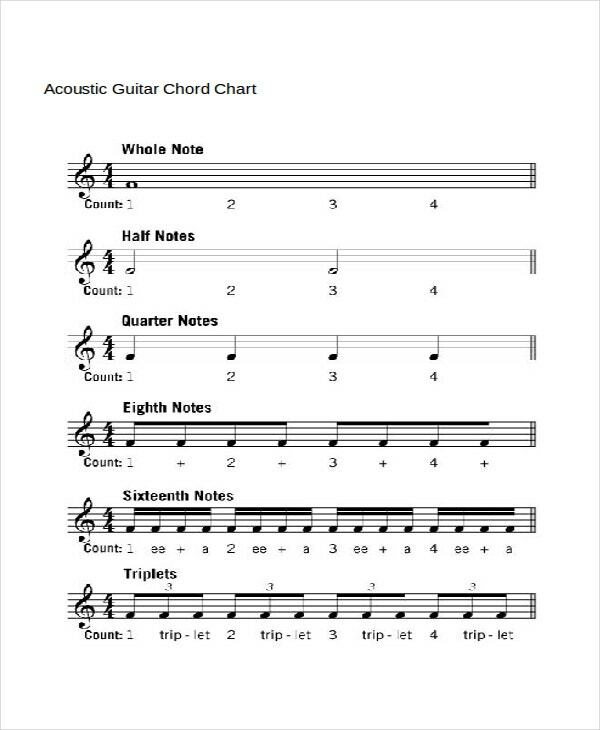 You may also see Word Guitar Chord Chart Templates. 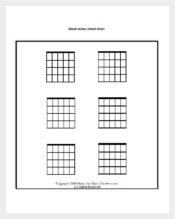 Free Guitar Chord Chart Templates helps your kids start the guitar classes without any physical trainer. Our Free guitar chord chart templates gives you and/or your kids to have a headstart for the guitar training. Usually, these templates are enough to learn the basics. Unwind your nonchalant, dally side with our free guitar chord chart templates. You may also see Word Reflexology Chart Templates. Sample guitar chord charts help to taste the pinch of salt about our premium guitar chord templates. Learning guitar from an in-house trainer was the gone era. Now, numerous tutorials are available online, which helps you to get dexterous in guitar. Apart from that many templates lend their hand in making you a perfect guitarist. You may also see Word Pantone Color Chart Templates. Basic Guitar Chord infers you the basic knowledge about Guitar playing. Our Basic Guitar Chord Templates are so instructive and they can train acquainted with both classical and western music on your guitar within days. In other words, our online guitar training starts with basic guitar chord chart templates. 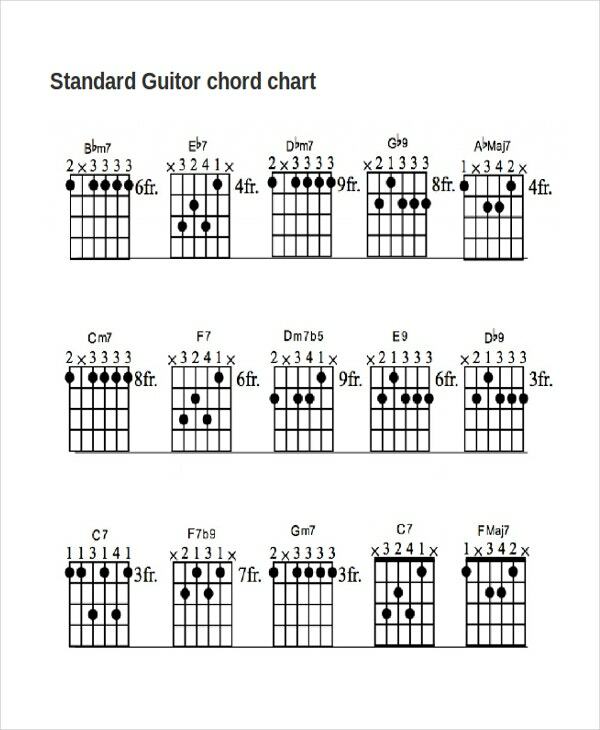 Standard Guitar Chords, as the name implies are the standard chords. These include the funky, harmonious, and the melodic tunes. Our standard guitar chord chart templates help you play all melodic tunes without any hiccups. Let the audience know your standard with our Standard Guitar Chord Chart Templates. Do you want to mesmerize your girlfriend on her birthday? Then play her favorite tune on the guitar. Looking for a demonstration? 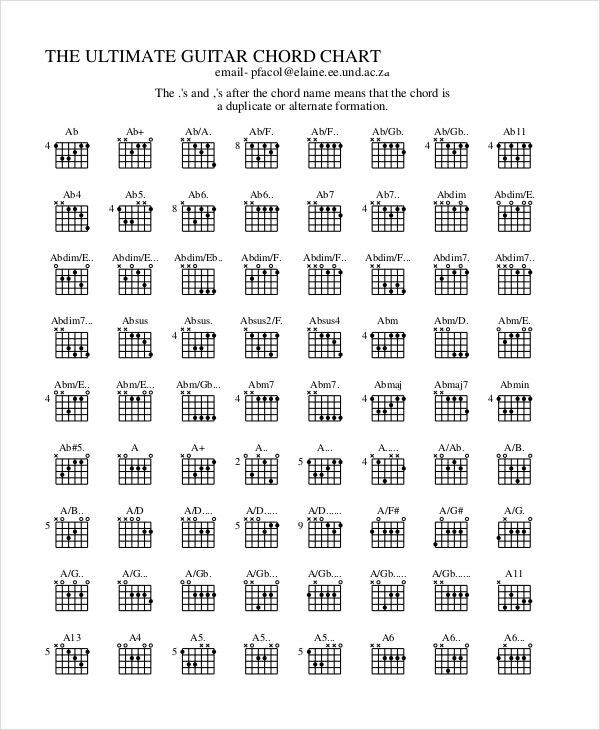 Catch our Word Guitar Chord Chart Templates in the below section. 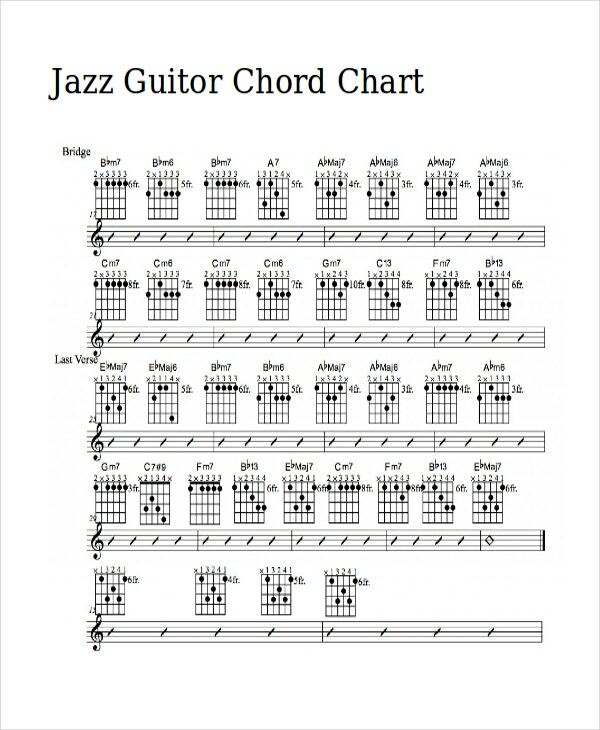 You can make a jazz guitar chord chart template, Bass guitar chord template, printable guitar chord chart template, complete guitar chord template, acoustic guitar chord template etc; out of word guitar chord chart templates. Blank Guitar Chord Charts are blank papers. 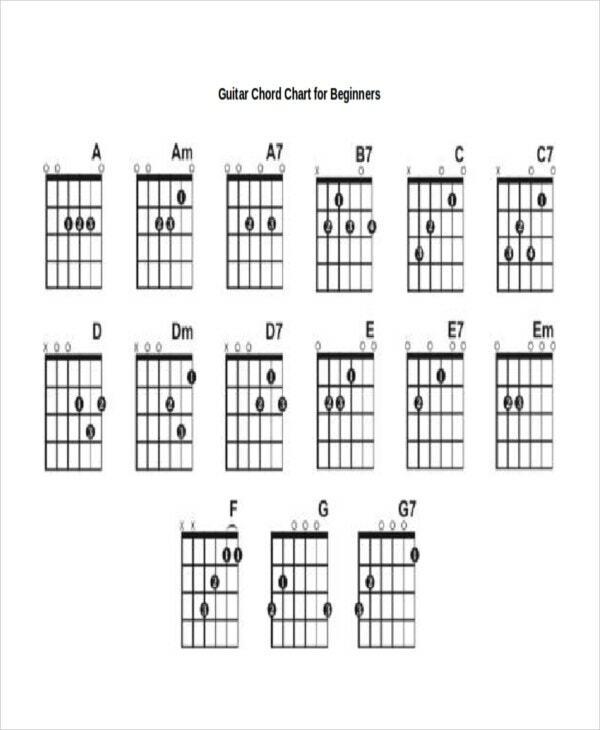 You can make a standard guitar chord chart template, sample guitar chord chart template, Bass Guitar Chord chart template, complete guitar chord chart template, printable guitar chord chart template, ultimate guitar chord chart template out of our blank guitar chord chart template. Download them now. 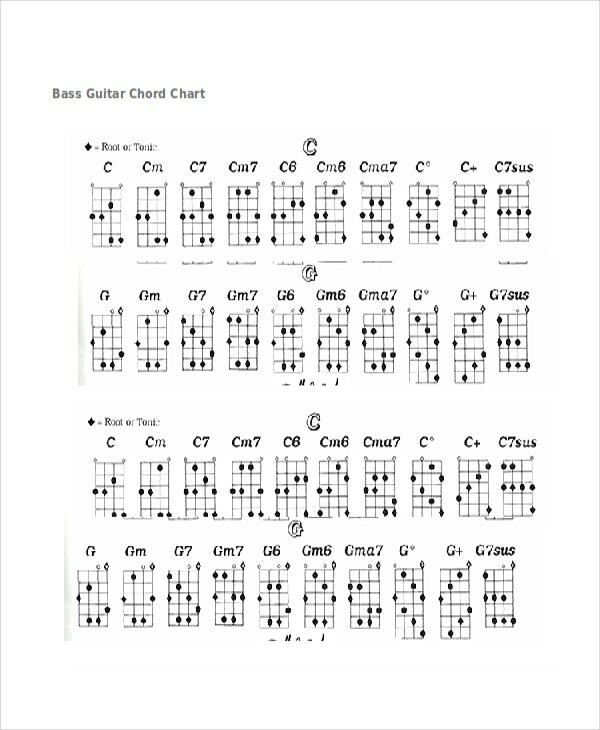 Jazz Guitar Chord Charts are instrumental based charts. They are purely western chord charts. Our Jazz Guitar chord chart templates prepare you both for a solo performance or in a band. They are presented with the most of the common jazz chord shapes. They are as many as you like. Do you want to drool all your audience in one go? Then our Ultimate Guitar Chord Chart Templates are having more than 200,000 chords available. All of our templates consists of playable and electrifying chords. The collection consists of pop, jazz, bass, classical, and western chords. They give you the high to play high-pitch tunes. Bass Guitar Chords gives you bass guitar chords in order. Our Bass Guitar Chord Chart Templates are both fun and challenging. They bring the true rockstar in you and make you ready for your next concert. We offer you the best keynotes in the market. Choose the versatile tunes now. 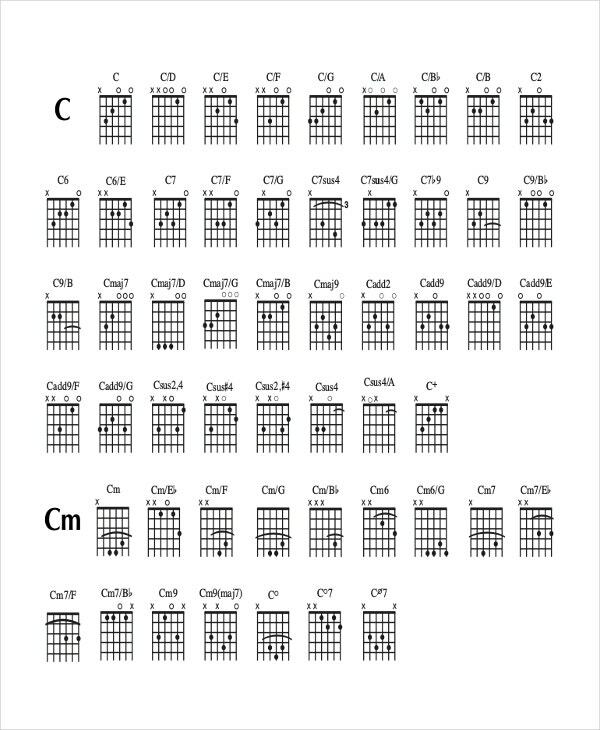 Complete Guitar Chord Chart is an all-in-one chart. 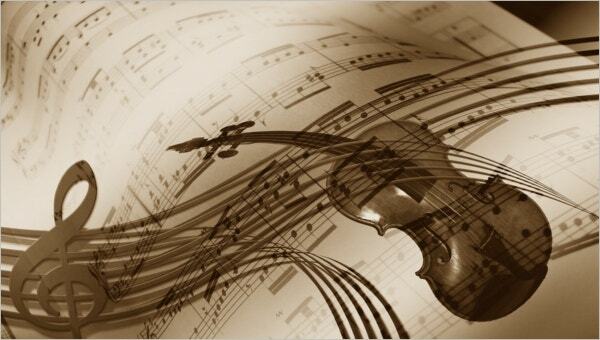 It consists of Bass, classical, western, jazz, acoustic, printable, and many other chords. It is a one-stop solution for all your guitar chord needs. They complete your guitar training course without any instructor. 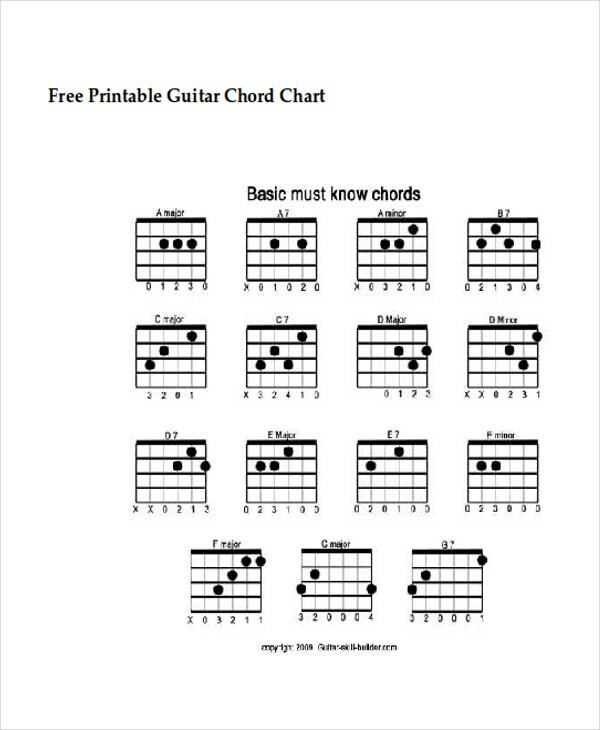 Download our A-Z guitar chord chart templates. Acoustic guitar is an electrical guitar. Though the plucked string instrument is from the United States of America, it is being adopted by people from all origins of the world. Especially the youth embraced it with great admiration. Our Acoustic Guitar Chord Chart Templates help you play the music with a brighter and lighter sound. 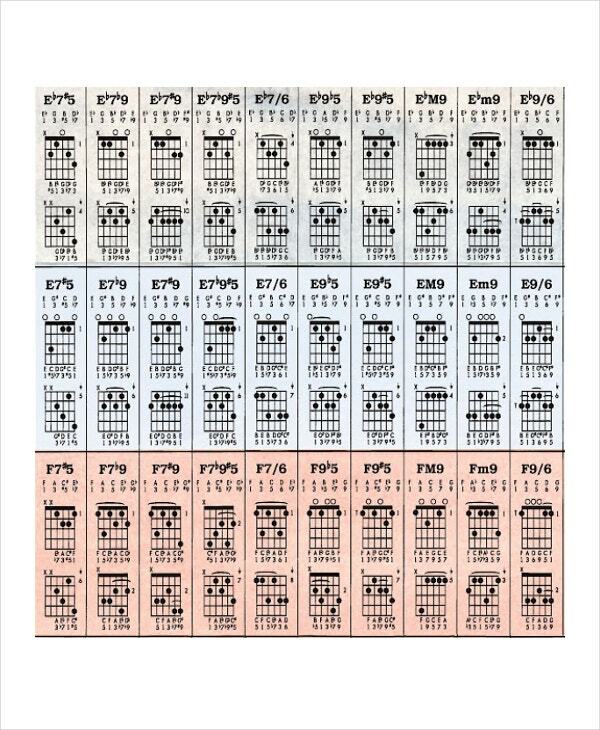 Printable Guitar Chord Charts can be your textbooks for your guitar classes. 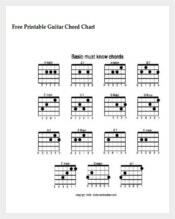 Our Printable Guitar Chord Chart Templates help you practice the chords even offline. They are easy to carry ones. They are compatible with all kinds of printers. Get the printouts today and start practicing. Wish you all the best. Arpeggio is a musical technique where notes in a chord are played in an order, rather than randomly. 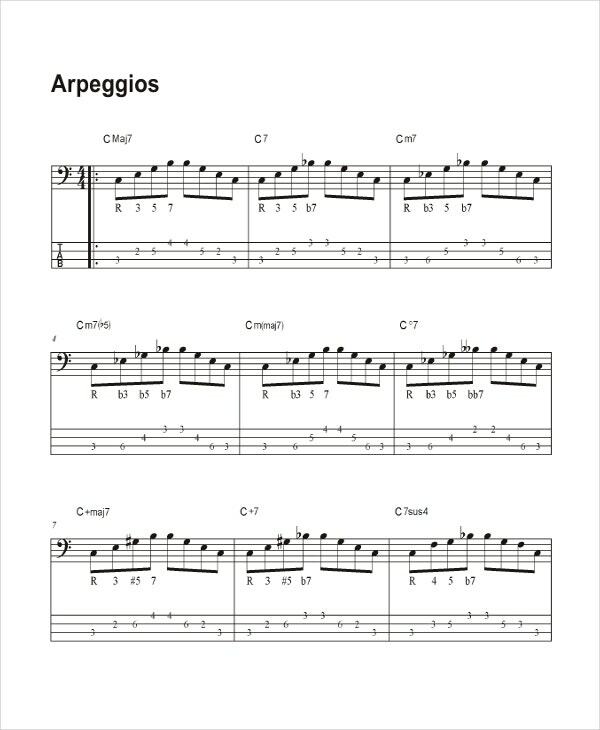 Our Arpeggio Guitar Chord Chart Templates are the ultimate ways for your guitar soloing. They are provided with multiple patterns and themes. At least they help you go to the next level in your guitar practicing. You may also see Comparison Chart Template. > How to Read Guitar Chord Charts ? If you want to read guitar chord charts, first you should know about guitar chords. That means the six lines going from top to bottom and six line from left to right. Before reading them, you should have minimum knowledge about the guitar strings and their functionality. You need to expand your musical vocabulary. You may also see Metric Conversion Chart Template. 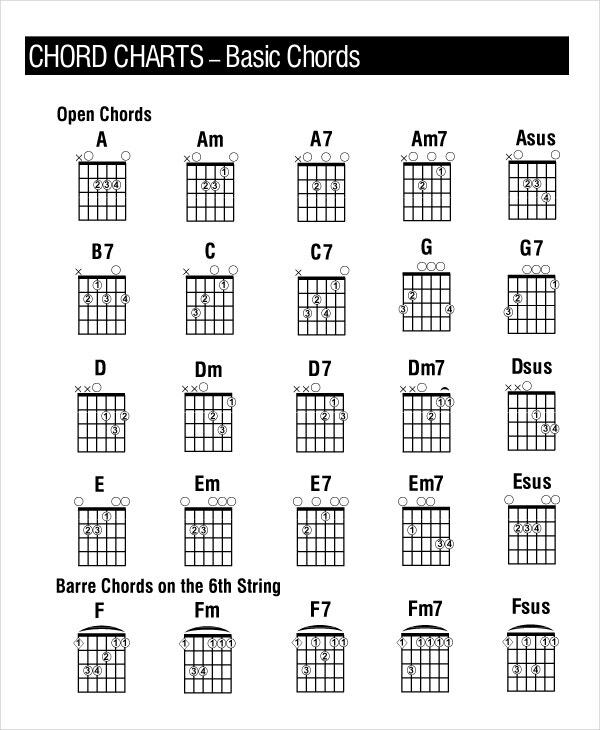 > Uses and Purposes of Guitar Chord Charts? There is a lot of difference between practicing the guitar with the specific instructions and a lullaby. 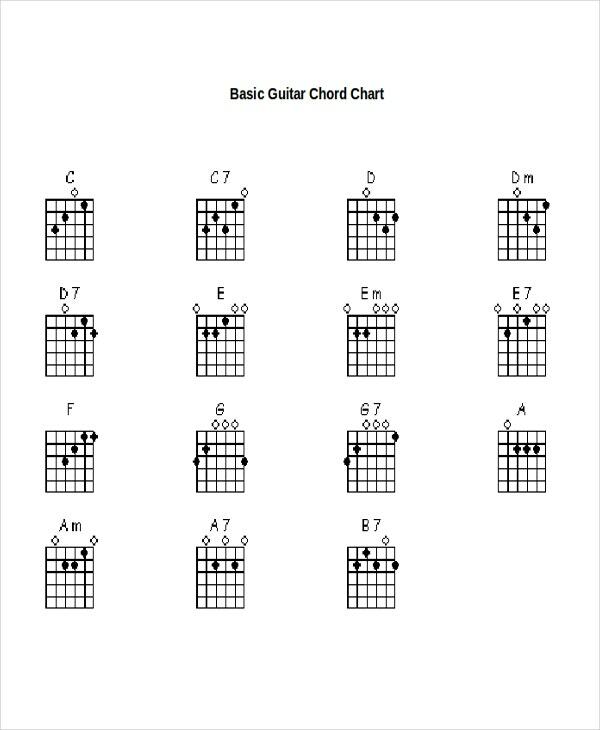 Guitar Chord charts are those cheat sheets for learners. They come with those set of instructions. They help you reduce committing blunders and gradually stop doing them. They are useful for beginners, intermediate, and advanced learners. You may also see Baby Weight Chart. Download the chords to your device, be it your laptop, tablet, or mobile phone. Remember that success doesn’t have any cheat sheets. It always requires a lot of hard work. Guitar Chords are nothing short of any of your musical lessons. They teach you how to commit fewer mistakes which will nullify over a period of time. However, don’t neglect the difficult chords. Remember that the more you fear of them, the longer it takes for you to get perfect.